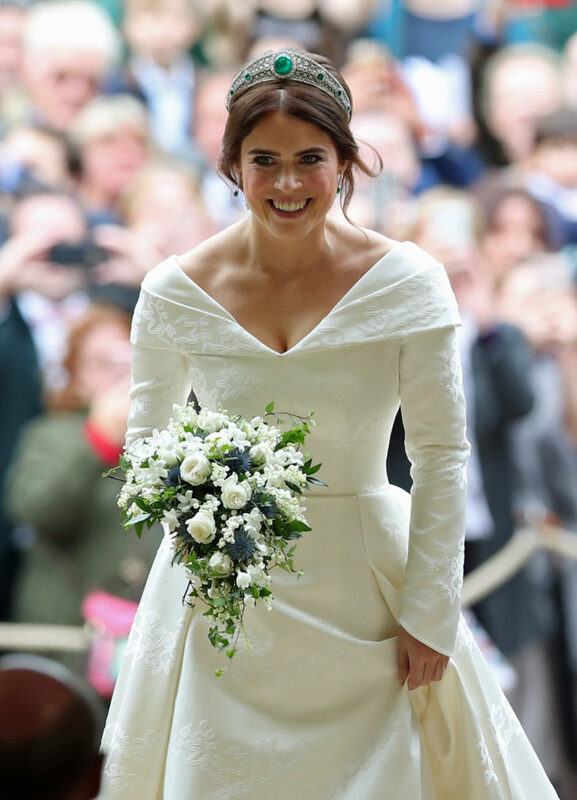 The public didn't get the day off, the wedding didn't get a TV deal with the BBC, a lot of the lady guests' skirts blew up, but Princess Eugenie looked absolutely delighted on her Big Day. 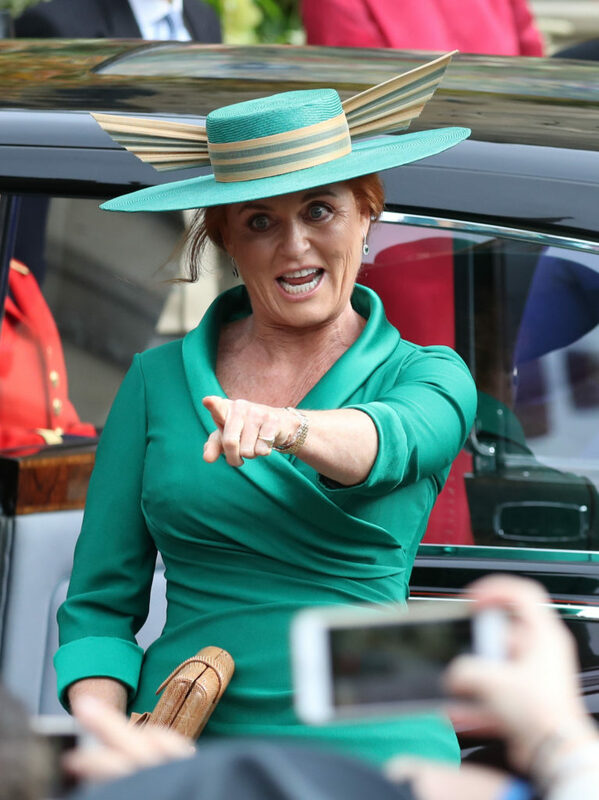 Not as delighted as a resplendent Duchess Fergie hugging the public in her emerald guna. 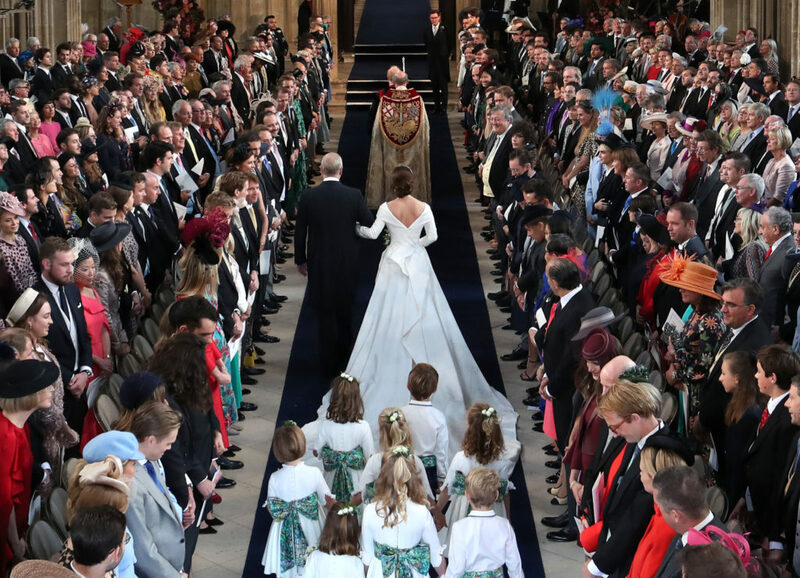 Eugenie and Jack had 150 more guests than Meghan and Harry, the last royals to get married in case you forgot. 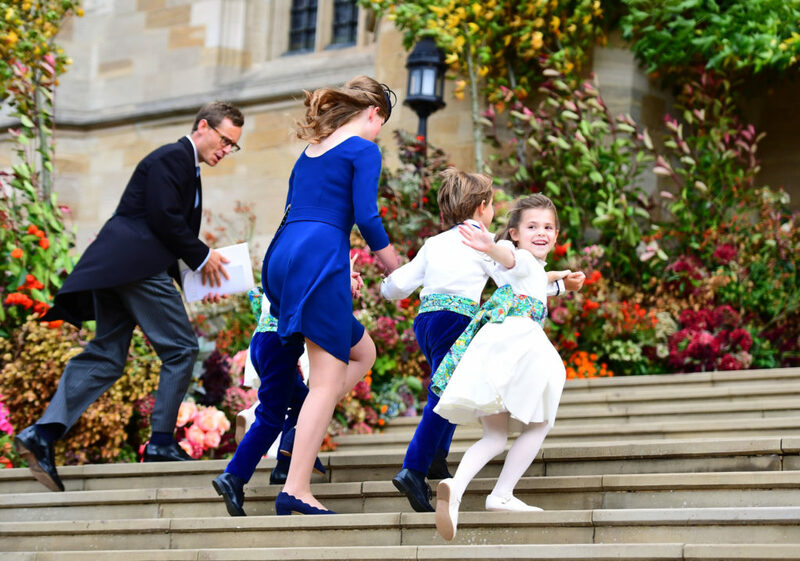 According to Prince Andrew, the bride's pops, it's because they have so many friends. So many famous friends. There were more starts in that church today than there will be at the Oscars next March. 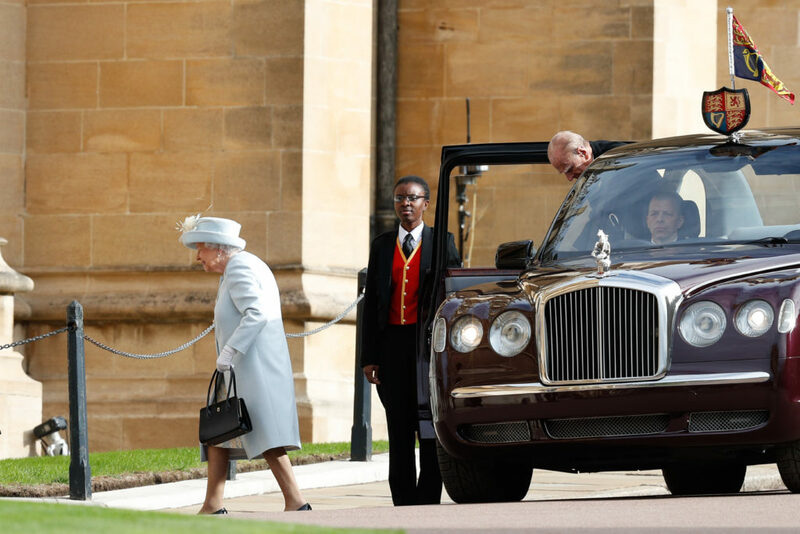 Harry, Meghan, Kate and Wills snuck in a side entrance, presumably so as not to upstage the bride, but we caught glimpse of the style. 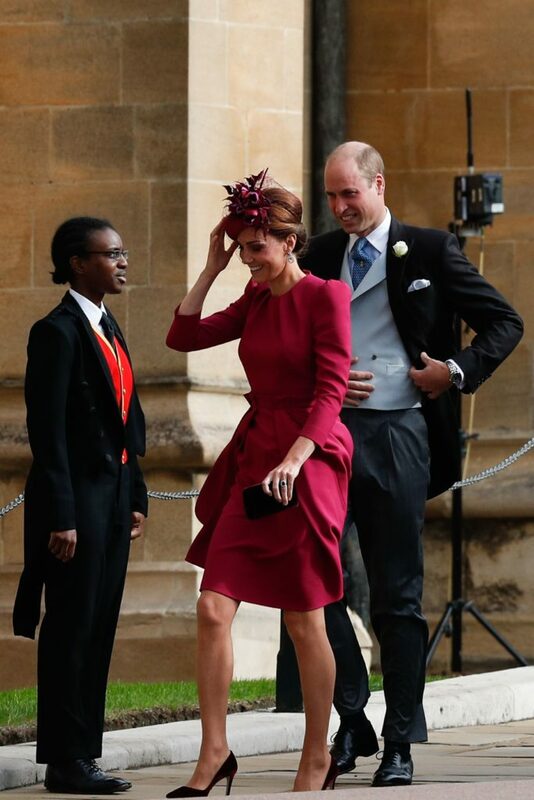 Meghan wore Givenchy again, Kate's Alexander McQueen dress was fuschia, an unusual colour for her. Kate's sister Pippa was there, too, looking gorgeous in green. We'll get to them, and the other guests. But first, the bride. 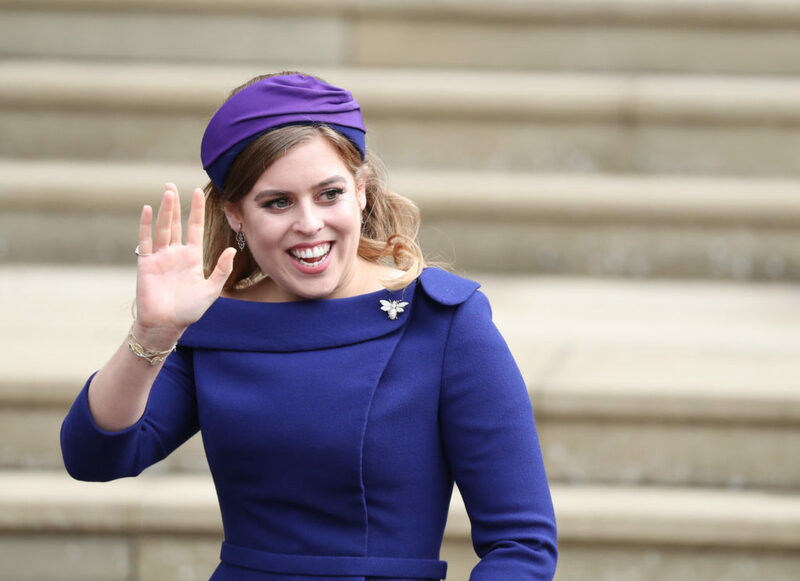 What did you think of Princess Eugenie's wedding look? 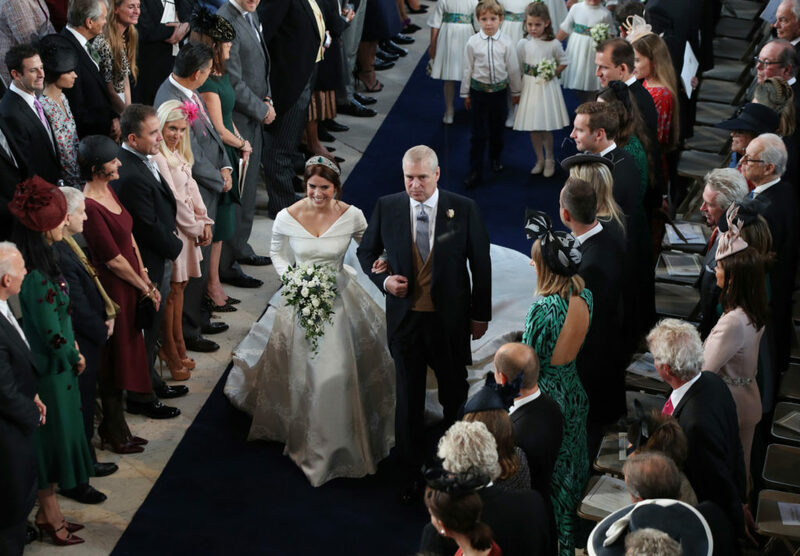 Eugenie's dress was designed by Peter Pilotto and she deliberately had a low back and no veil to show her scars from a scoliosis operation she had at age 12. The tiara belongs to the Queen. Quite a fancy 'something borrowed' then. The wedding party was adorable as predicted, with the bridesmaid dresses clearly inspired by Fergie c. 1992. Famous guests included Robbie Williams and Ayda Field, whose daughter Theodora was a bridesmaid, Pixie Geldof, Demi Moore, Liv Tyler, Naomi Campbell, Poppy Delevigne, Cara Delevigne, James Blunt, Holly Valance, Ellie Goulding and loads more like Kate Moss and Stephen Fry who snuck in but we spotted on the stills from This Morning coverage. We thought Cara looked amazing. Who would you put at the top of the best dressed list?